Woodland Ways operates multi award winning bushcraft course and Survival School in the UK. Join the UK's leading Expert of Bushcraft courses, survival courses, wilderness weekend, foraging courses, family bushcraft weekends, bushcraft equipment and outdoor survival skills training course. The Buffalo Mountain Jacket was designed for Scottish winter conditions. 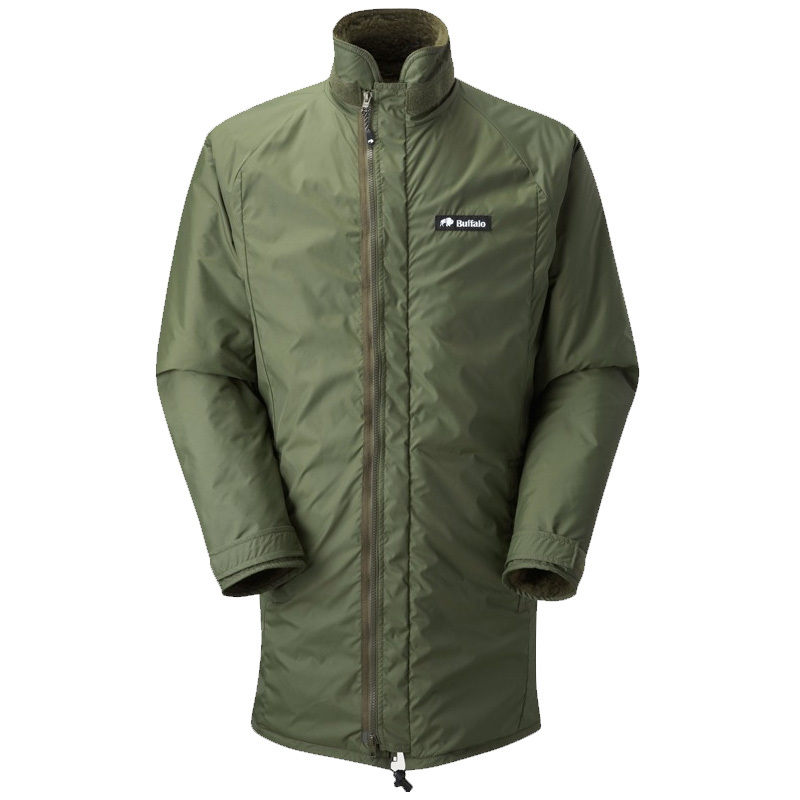 This is the jacket for standing about in howling whiteouts, for high level winter walking, walking the dog, bird watching or fishing and has been tested for over 30 years in the most hostile conditions. Used by Military, Police, Mountain Rescue Teams this versatile jack is great for outdoor activities such as Professional use, high level winter hill walking, trekking, and general outdoor activities. The successes of this Jacket comes from the detail taken at the design stage making this a very warm comfortable jacket. Longer length to allow rain run off. Two storm baffled, pile lined, zipped outer pockets. Elasticated waist and hem adjusters. I would have given 5 stars if Buffalo sent their coats out nicely packaged. This is not the fault of Woodland Ways who have been great and super helpful. Ⓒ Woodland Ways LTD. All Rights Reserved.